How Are Colored Pearls Made? 3 What Is Crystal AB? 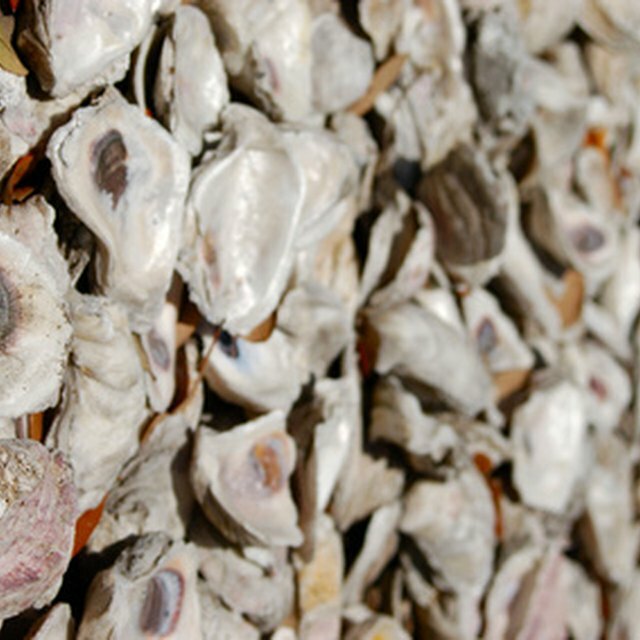 4 How Are Colored Pearls Made? How are Beads Made From Glass? Making beads from glass is an old art form known as torch-working. There are many types of glass, but the most common is soda glass--which often has small bubbles contained within. Once the torch worker has donned protective gloves and eye-wear, he takes up a mandrel, a heat-resistant rod covered with wax roughly the size of a pencil. He then ignites his specially designed butane or propane blow torch, which is mounted on a table to hold the flame. A thin rod of colored glass is heated within the flame until it deforms and melts. The mandrel is held below the flame and catches the molten glass, turning evenly to form a molten glass ring. This forms the base of the bead. From here, the bead is kept molten and shaped with heat-resistant steel tools. Other colors of glass may be added in dots or layers in the same fashion as the first layer. Once the bead is complete, it is allowed to dry and removed from the mandrel by pushing along the mandrel's waxed length. How are Beads Made From Ceramics? 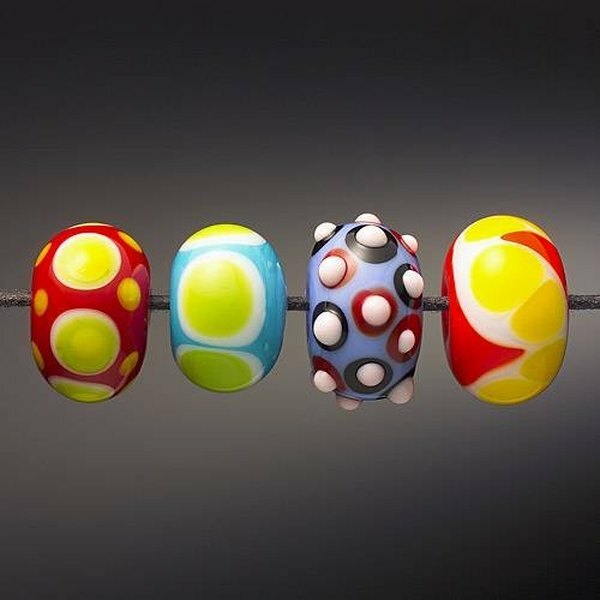 Ceramic beads are made by taking various colors of clay and rolling them out into pencil-thickness lengths. They are then packed together, side by side, to form a much thicker length of clay, with the colors arranging a desired pattern. The clay mass is once again rolled out thin so each color comprises a smaller but longer portion of the mass. Cut the clay lengthwise into bead-width pieces. A hole is poked through the center of the bead and its edges are either rounded or flattened. With the shape and color complete, the beads are then fed en masse into a kiln to be baked hard. A finishing layer of glaze gives them a shine. What Materials Can Beads Be Made From? Beads can be made from most any decorative material. Thousands of plastic beads are made at a single time by filling empty molds with colored liquid plastic and then allowed to dry. They may also be made from many types of metal, both precious and common, by the same process. Beads from precious metals are more often made by hand as this adds to their uniqueness and worth. Beads can also be made from hand-worked stone such as jade, obsidian, and jasper. Their color, shine and individual grain of the stone make them each a treasure. What Is Triple Milled Soap?